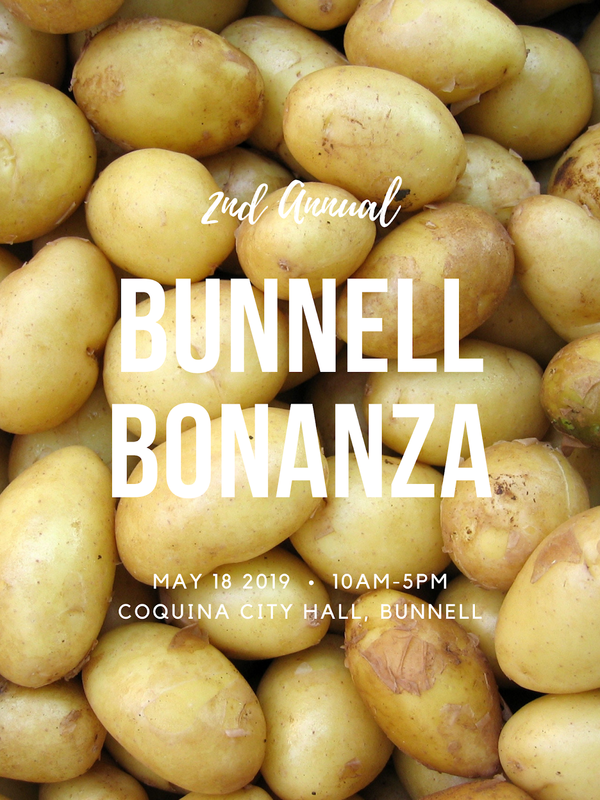 The 2nd Annual Bunnell Bonanza will take place on Saturday, May 18th from 10am-5pm at the historic Coquina City Hall. Free to attend! !